THE HAGUE, November 21. /TASS/. 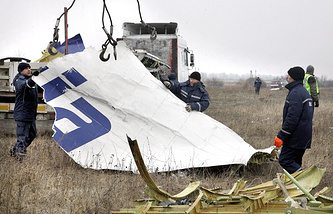 New remains have been discovered at the site of a recent Boeing crash in Ukraine, the Dutch government reported Thursday. The remains will be sent to the eastern Ukrainian city of Kharkov, where a preliminary forensic examination is held and then transported to the Netherlands, where bodies are identified. 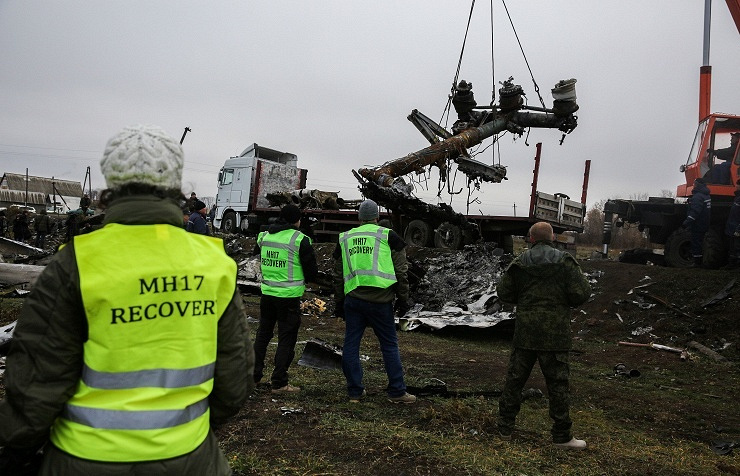 A few more days will be needed to complete work to collect wreckage, Dutch security officials said. The atmosphere on the site remains unstable, so the decision whether to continue work is made daily depending on the security situation. On July 17, a Malaysia Airlines Boeing 777 passenger airliner on flight MH17 from the Dutch city of Amsterdam to the Malaysian capital of Kuala Lumpur crashed in the Donetsk Region in eastern Ukraine, killing all 298 people on board. Most passengers - over 190 people - were Dutch nationals. Fierce clashes between troops loyal to Kiev and local militias in the Donetsk and Lugansk regions during Kiev’s military operation, conducted since mid-April, to regain control over the breakaway southeastern territories, which call themselves the Donetsk and Lugansk People’s republics, have killed over 4,000 people. The parties to the Ukrainian conflict agreed on a ceasefire at talks mediated by the Organization for Security and Cooperation in Europe (OSCE) on September 5 in Belarusian capital Minsk. The ceasefire took effect the same day but has reportedly occasionally been violated.